Hi All! 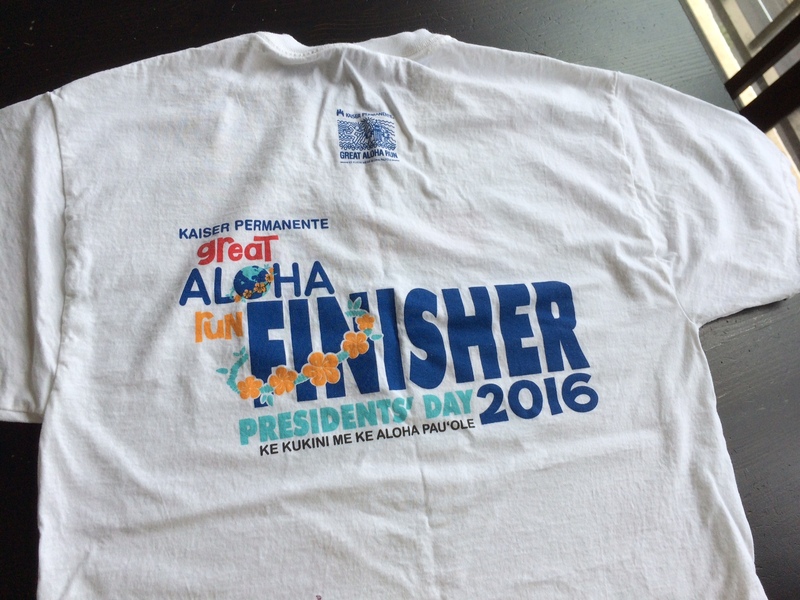 This is Great Aloha Run 2016 full Report!!!! 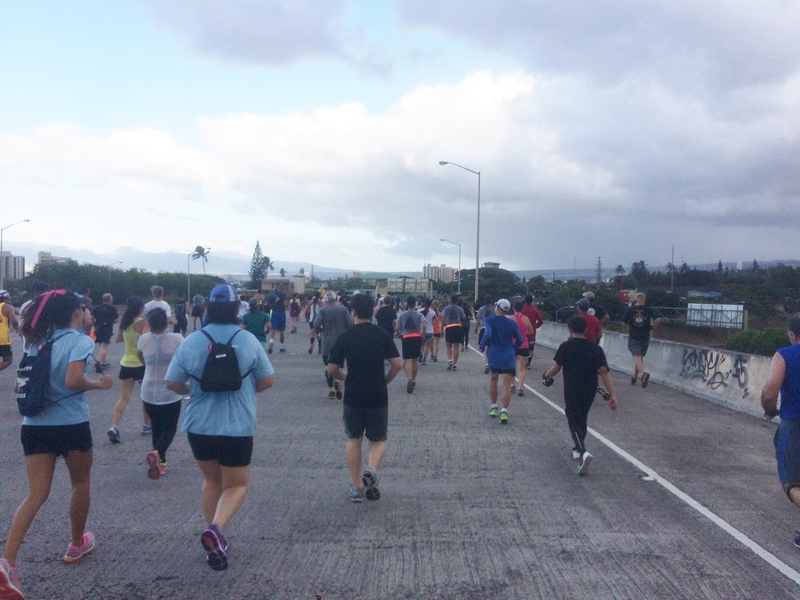 This is the 2nd Phiten Hawaii Run Report this year! 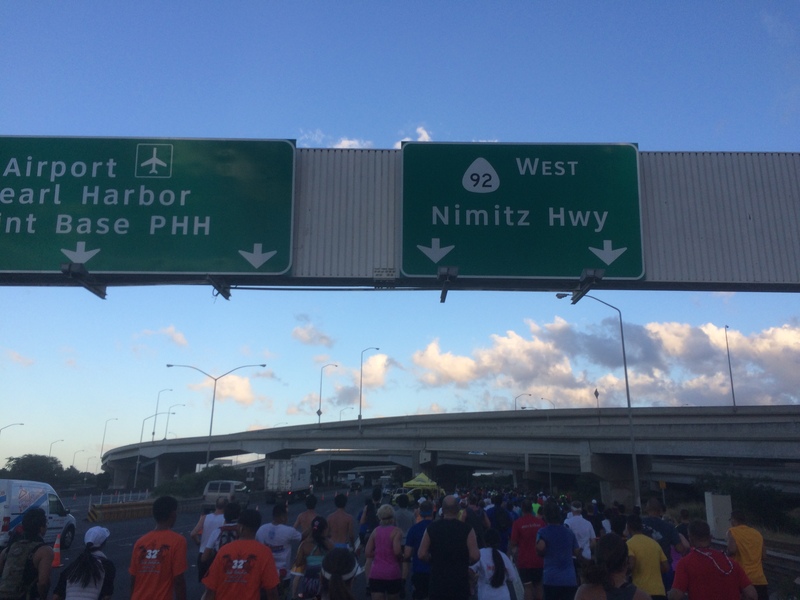 The purpose of this Blog “Phiten Hawaii Run Series” is to share with you about Running Events in Hawaii. 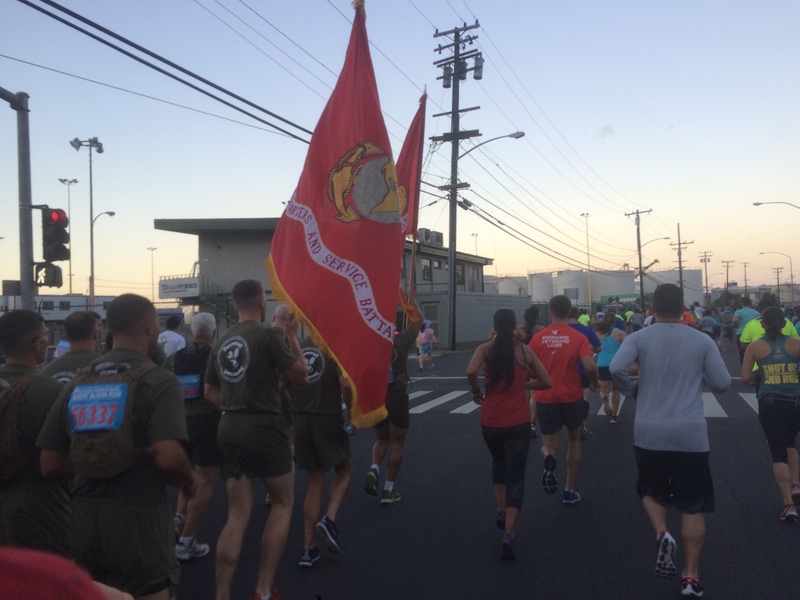 We would like to let you know about how awesome the running events here in Hawaii!! 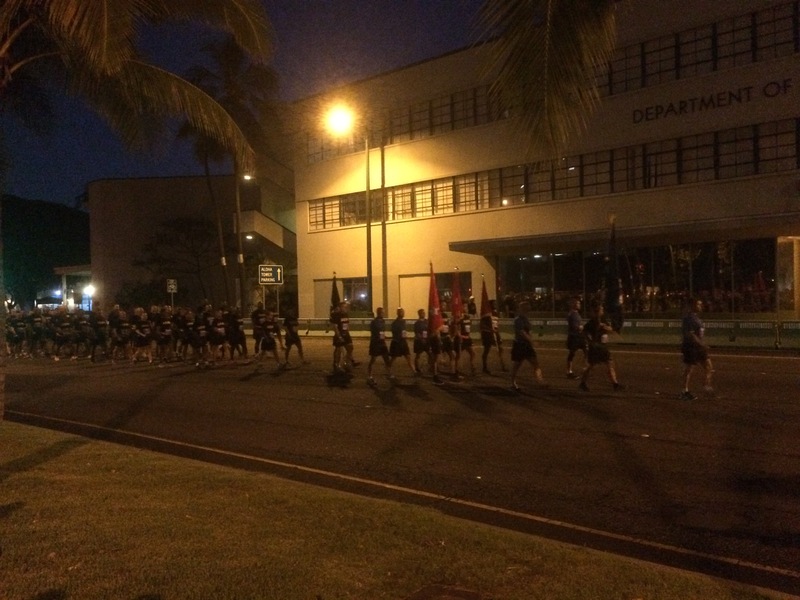 The race starts at 7am in the morning. 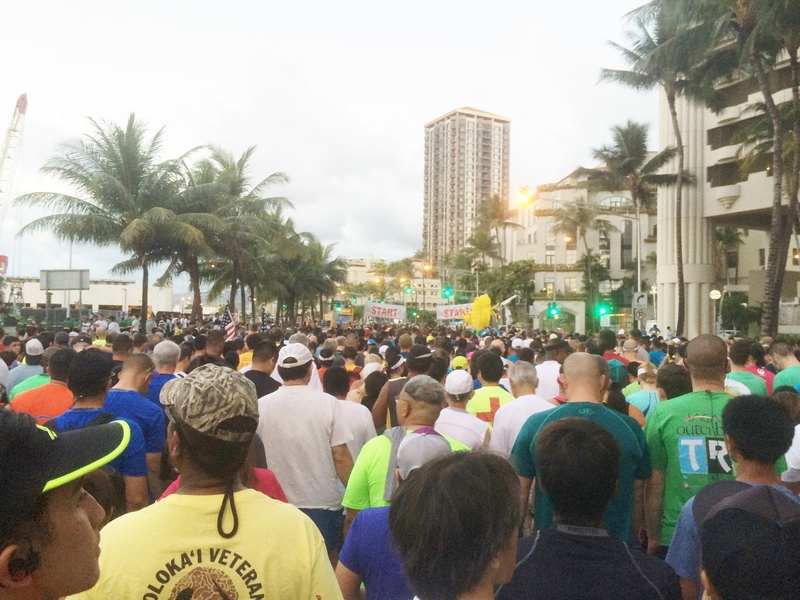 It’s 8.15 mile race from Aloha Tower to Aloha Stadium, 2 of the big Oahu symbols. Because from A point to B point run, many runners take shuttle bus . Either you park a car at starting point or finish point. You need to take shuttle bus unless somebody drop you off and pick up. 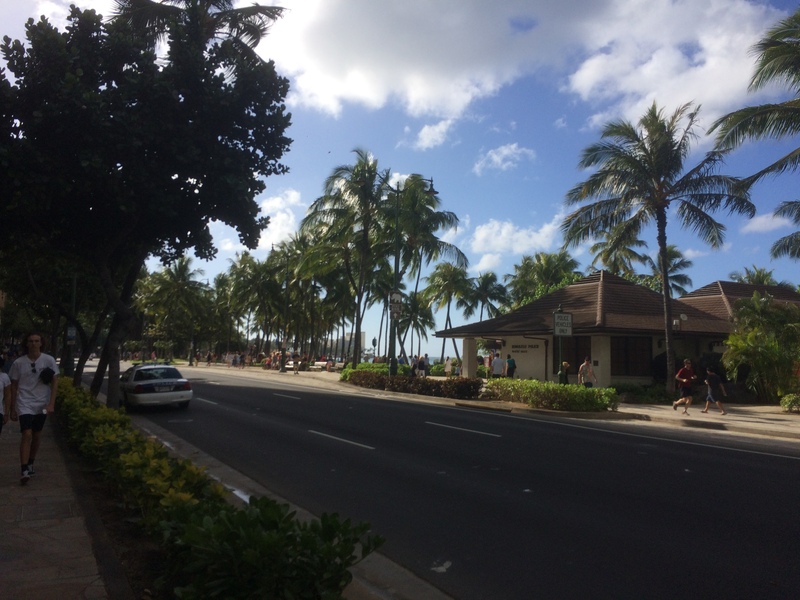 Anyway, I walked through Waikiki to get to Sheraton Waikiki Beach Hotel where Shuttle Bus was waiting. 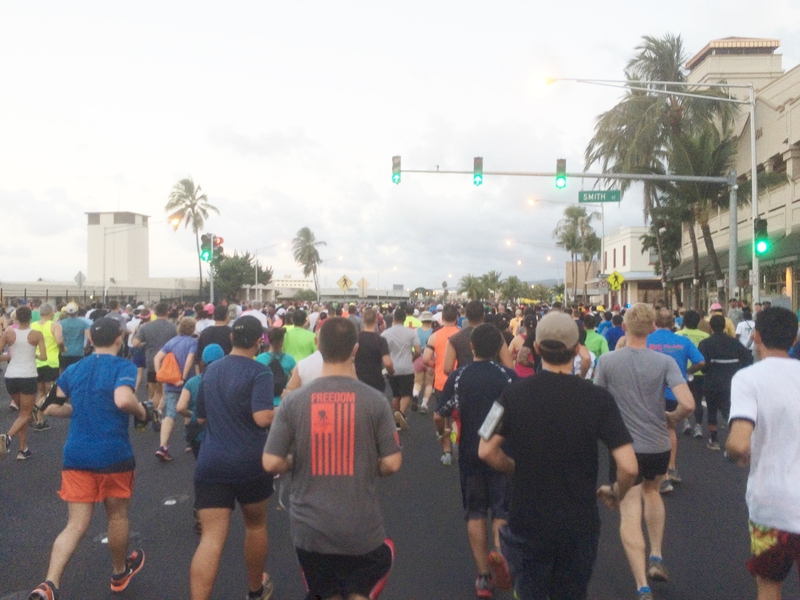 From there, the bus took us to downtown area, and walked to the start point which is in front of Aloha Tower. Shoot! I did not get to take a picture of the Phiten Items that I used this time… Here are the list.. Anyway, once you get off the bus, the crowd will take you to the start line. So you do not have to worry about getting lost there. From there, I was getting more excited just by seeing so many people were there in downtown in this dark early morning wearing all the costumes and weird stuffs. 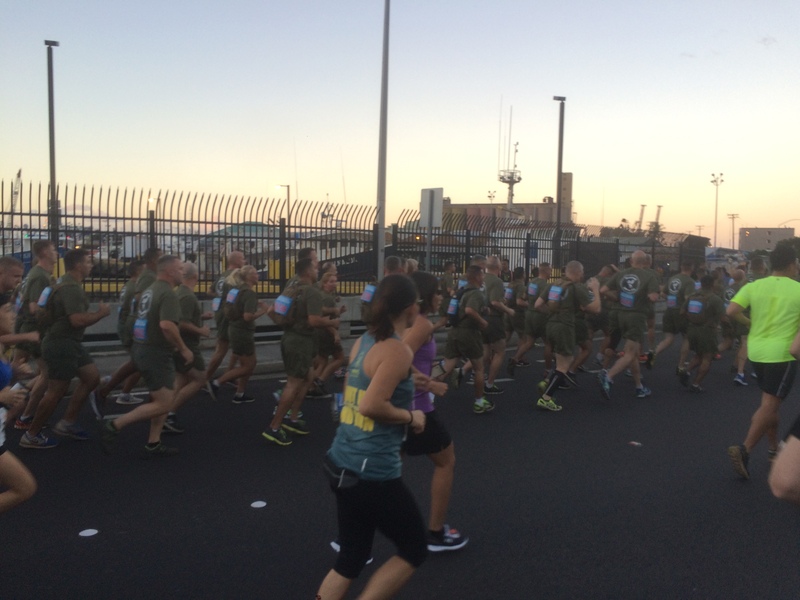 Then, we saw so many military runners coming in, which were total 4,000 runners! 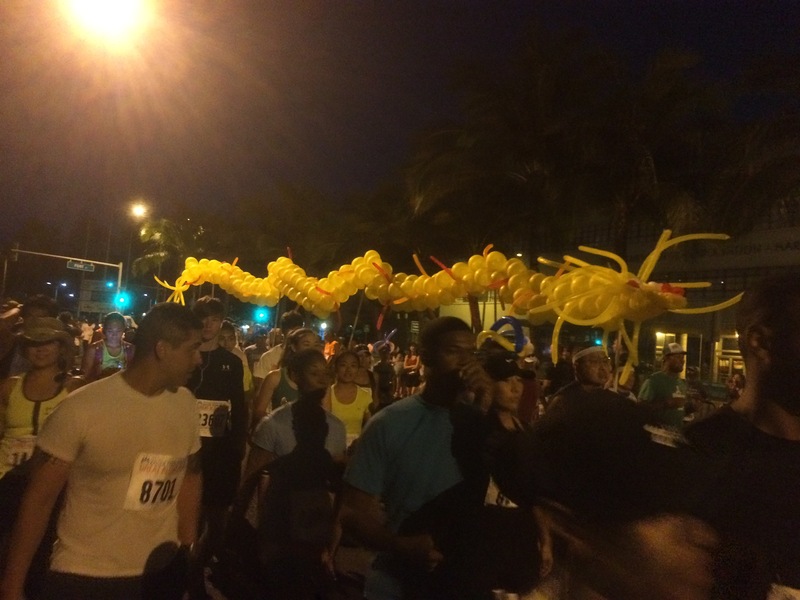 This time, I believe that Chinese New Year was close too… So the Dragon made of balloons were there and running with us. 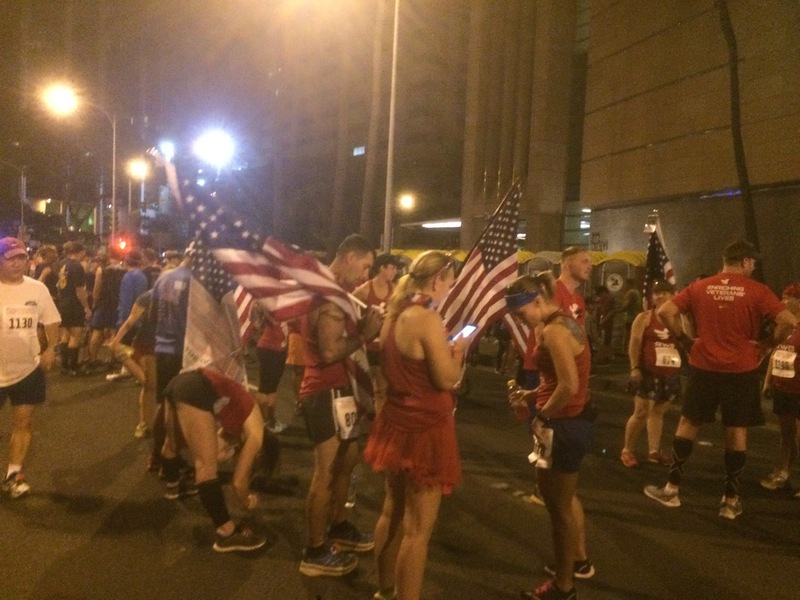 After the beautiful National Anthem, the 8.15 mile run had started! Right off the bat, the leader of military squad started singing a song, and all the officers followed the leader! It’s gotta be a great training for lungs! 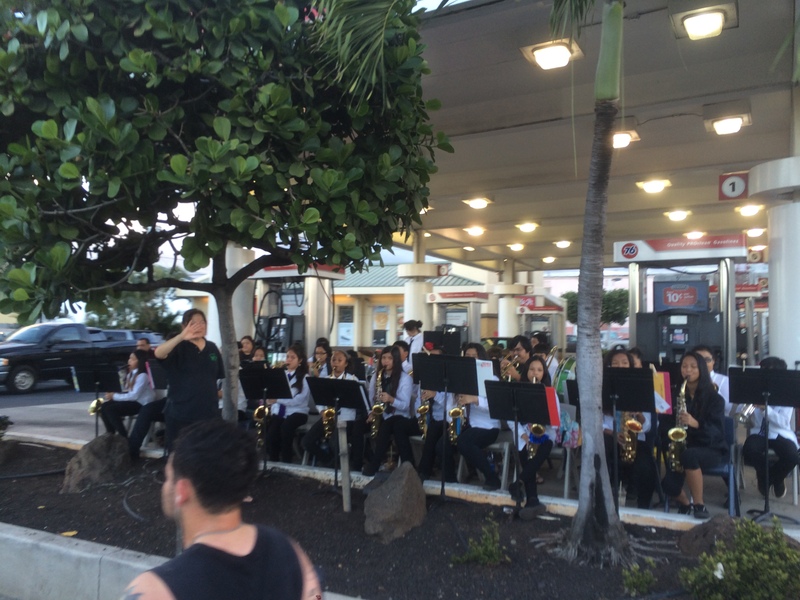 We encountered the awesome brass band to cheer us up with Hawaii Five O them song and Army Truck! You know…. this is one of the funnest parts when you attend run events. 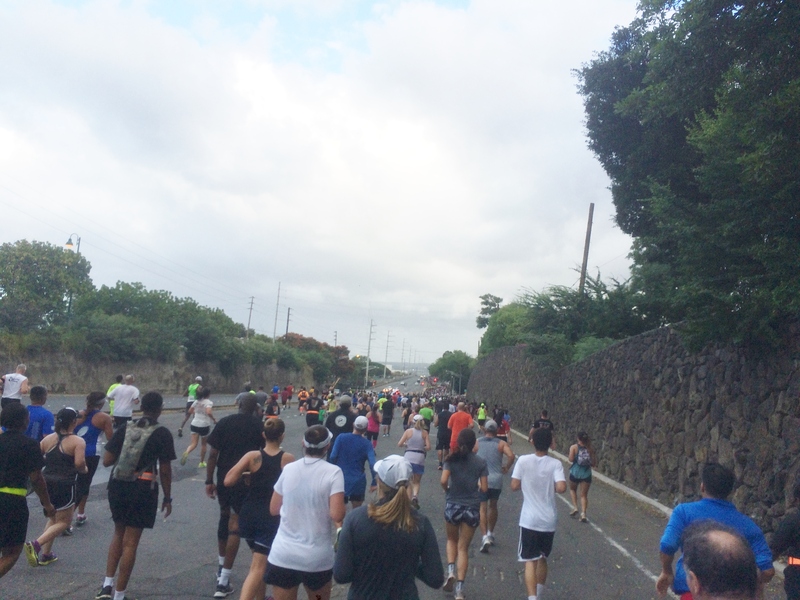 We get to run the road that usually so jammed up with traffic! Usually, you do not even get to walk there… Nimits Highway way is one of the most trafficy Highways like bump to bump kind during commute time. We just ran it!!! Going Nimits under the Freeway H-1, the busiest Freeway in Oahu, toward to Honolulu International Airport, gives you the view that you have never seen! We saw so many volunteers and cheer-ups from Japanese Taiko Club, Schools, Military, and all local people! After we passed the Nimits Hwy, we were on the actual Freeway for a little bit! 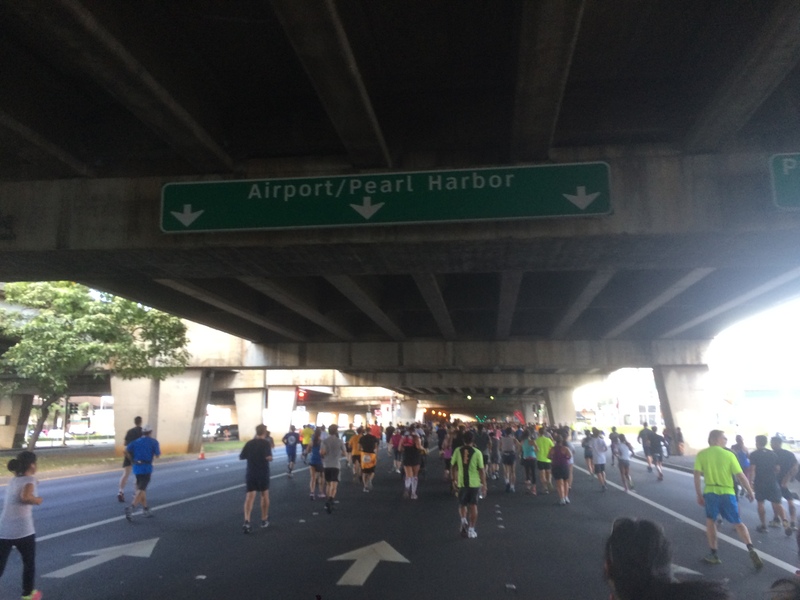 Then, going straight towards Aloha Stadium. We could not see it yet then…. 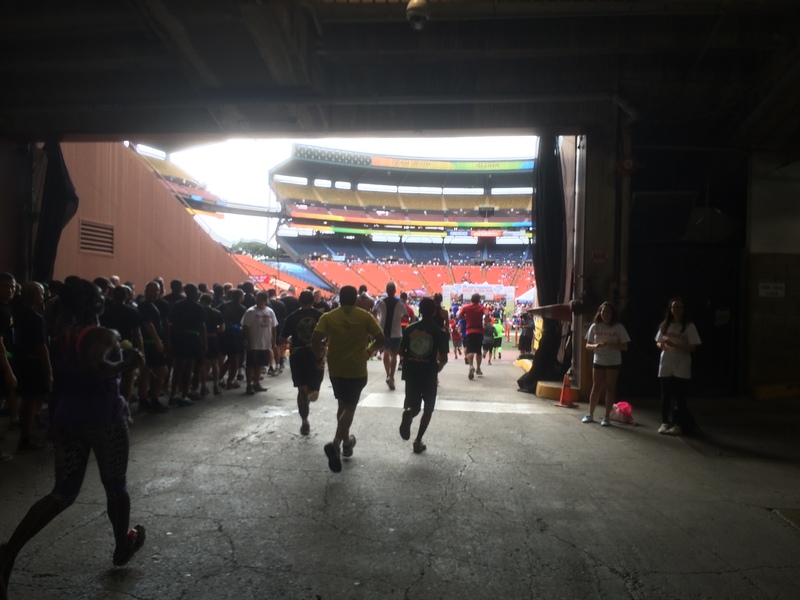 As soon as we got to see the Aloha Stadium, something came into my eyes! The balloon Dragon!!! They were running the whole time!!! 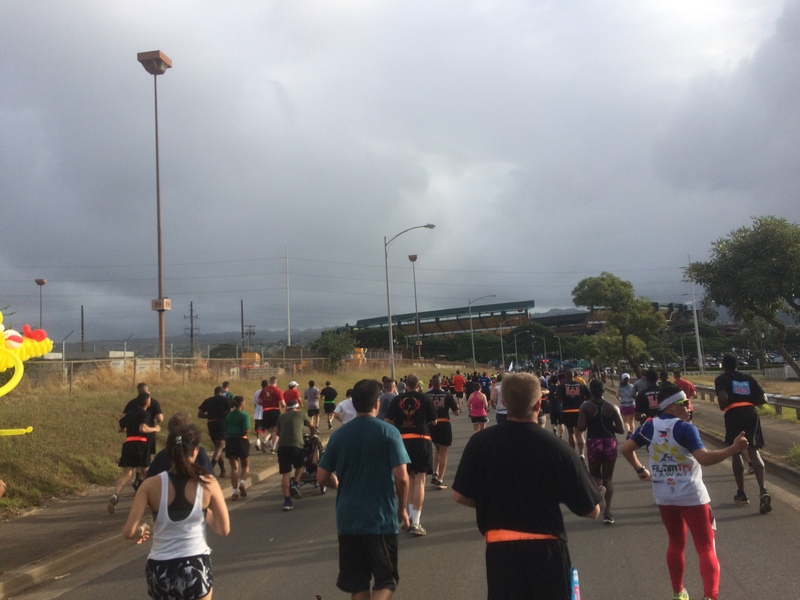 Right before I reached the entrance of Aloha Stadium, I found Track Runner Team USA Member, Ron Pate!!! He is THE Heavy Phiten User and came to our booth too this time. 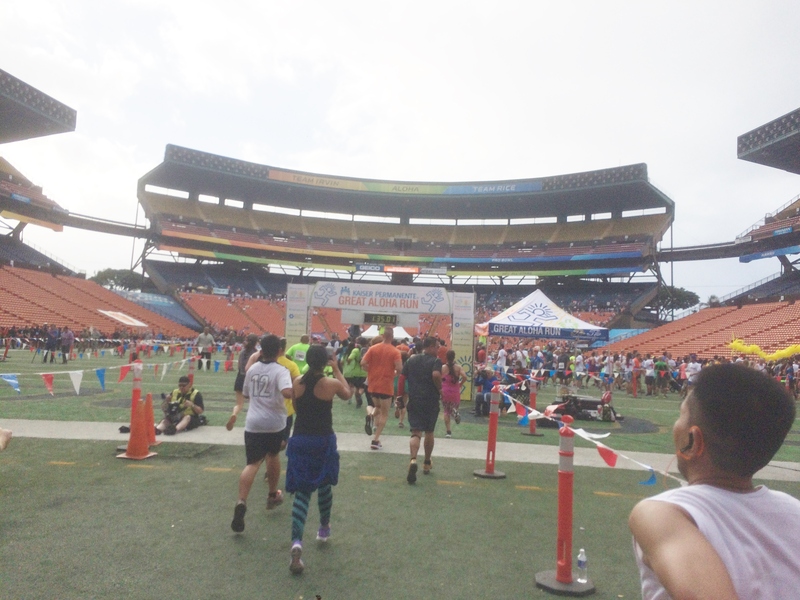 He purchased our Titanium Transparent Tape for the first time at the Great Aloha Run Expo.. Then, next day, he texted me up and said ” During the warm up run for Great Aloha Run, I ran my fastest time in 5 months! !” He was so excited! 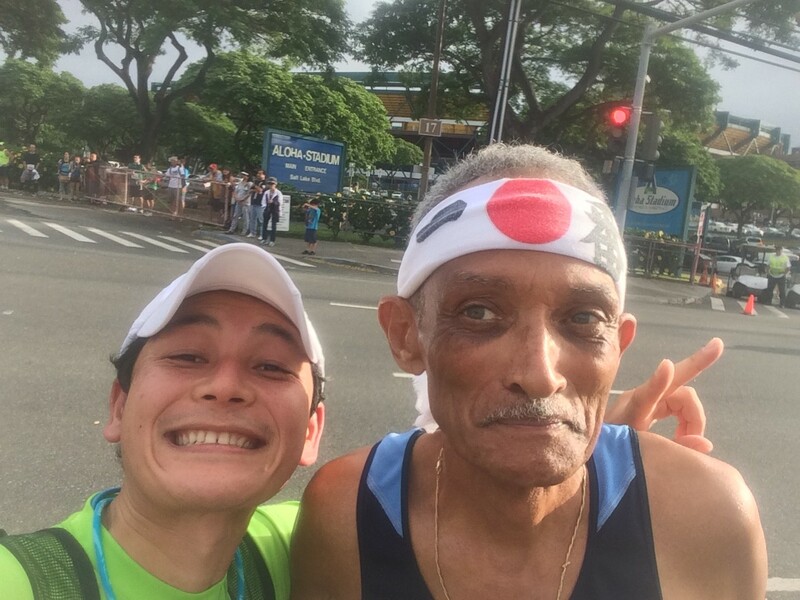 He is 69 years old and ran Great Aloha Run with 55:50… Of course, he was the number one in his age group… He is a machine…. After Ron’s welcome, we saw the huge banner says “Congratulations! 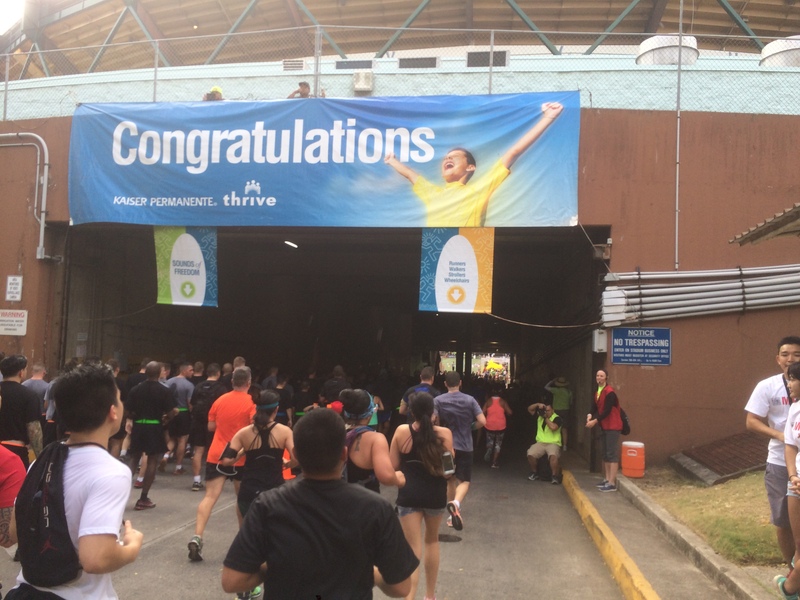 !” and saw so many runners smiling there. 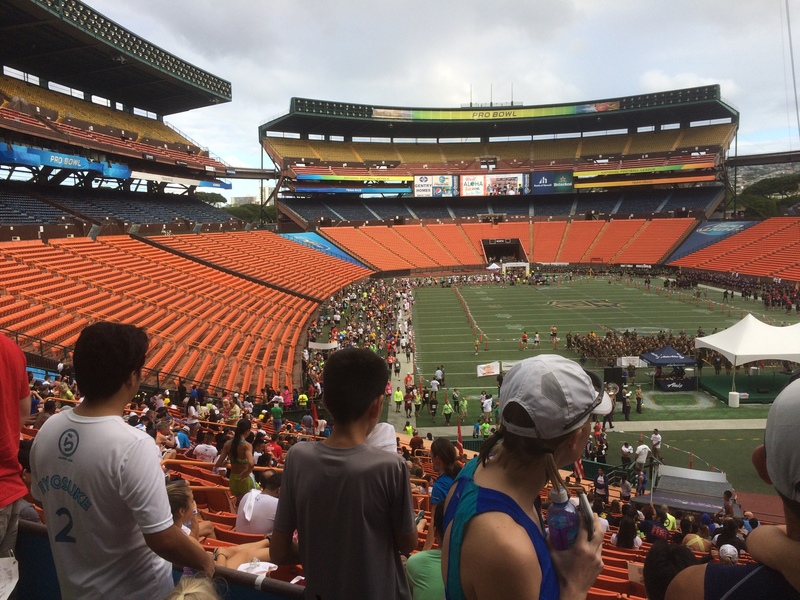 This is the Aloha Stadium!!!!! Usually, you do not get to come to the field! It was all open only for the runners! I was there thinking of UH football and all the other events. We only get to see this field but not to step on it as we did this time! 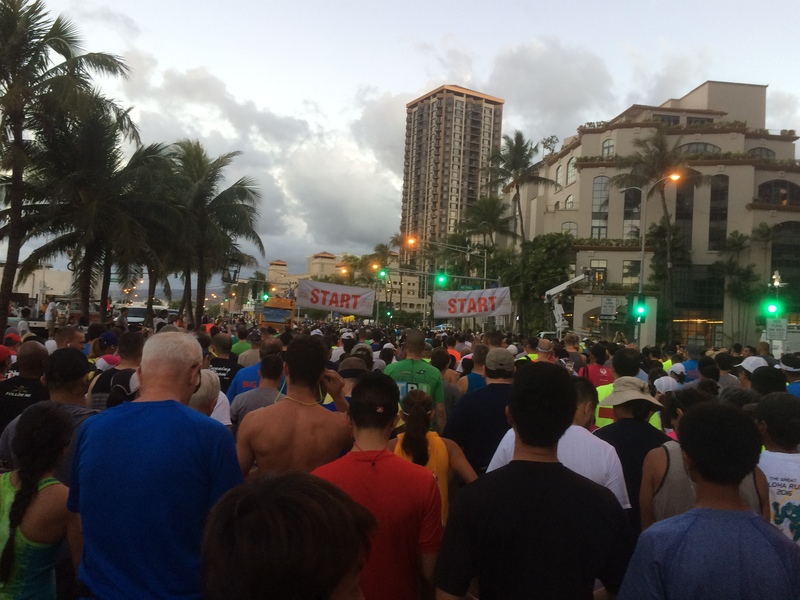 Then, got a finisher shirt and took the same shuttle bus back to Waikiki. 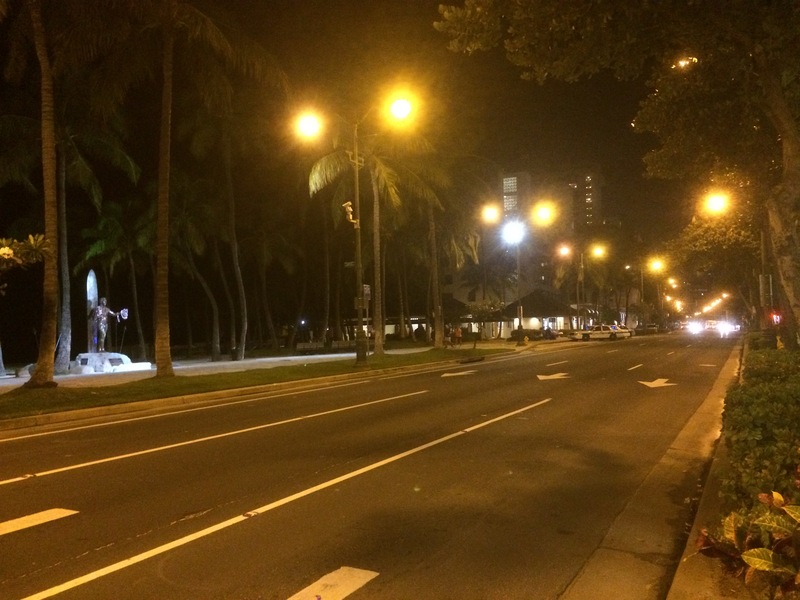 I ran back home through Waikiki, which is the same place that I walked through in the morning as shows the first picture, which was so nice, breezy, and shinny day around that time already. 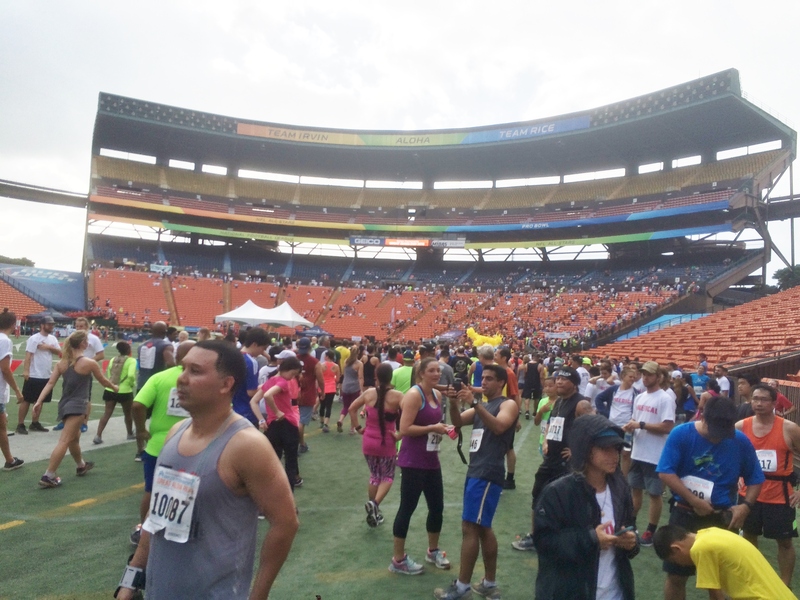 This was my second time that I attended Great Aloha Run. I love this run even more than the fist time. I would not be able to feel this way without all the volunteers and the organizer. And the part of your entry fee will be donated to the local community. 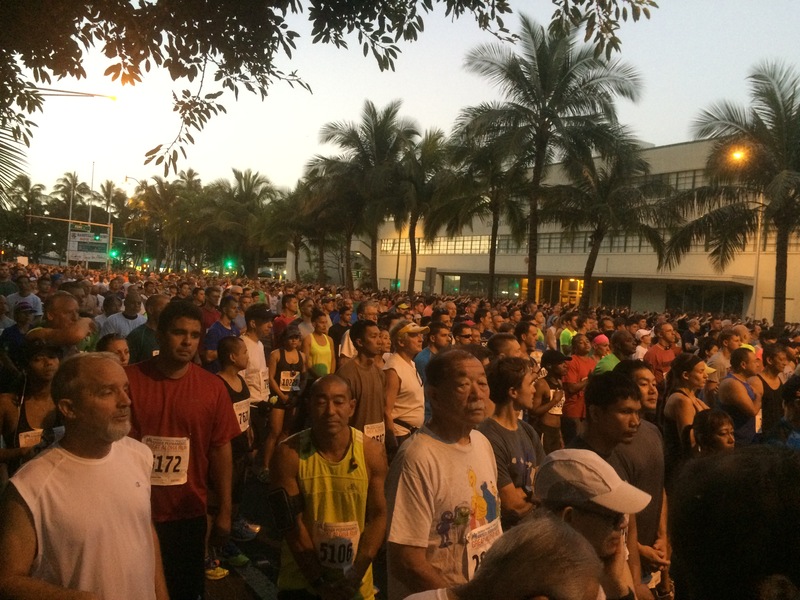 I am so sure that I will be attending this Great Aloha Run next year too. And I hope more people would attend to support local community as well.